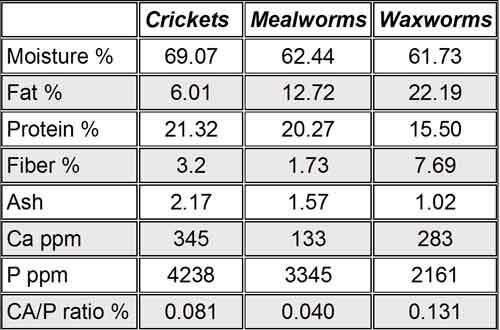 Research on enlisting insects to reduce plastic waste in the environment didn’t begin with the two studies of Styrofoam-consuming mealworms reviewed in last Friday’s blog post, Plastic-Eating Insects. In fact, in 2014, the same researchers published results of a similar study. Instead of Styrofoam, a polystyrene product, they went after polyethylene, used for plastic bags and bottles. And instead of mealworms, they experimented with waxworms, the larvae of wax moths. 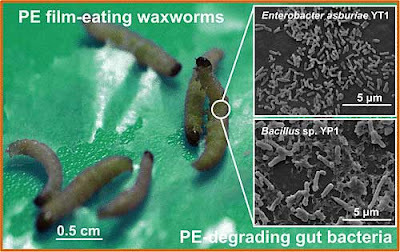 For that study, the researchers isolated two waxworm gut bacterial strains that were capable of degrading polyethylene. Over a 28-day incubation period with the bacterial strains on polyethylene films, the researchers observed that biofilms formed and the polyethylene films’ ability to repel water decreased, while its surface became pitted with cavities. Over a 60-day incubation period, suspension cultures of the two strains degraded about 6% and 11% of the polyethylene films. I haven’t seen the references cited in these research papers and can’t trace the work to its origin. A cursory search of the topic turned up several papers, including a 2012 review article, Degradation of Plastics Using Microorganisms. But the items I found most interesting weren’t scholarly journal papers; they were articles on high school students’ research. In 2008, the Canada-Wide High School Science Fair top prize went to Daniel Burd, for his study of biodegrading polyethylene. Burd reasoned that, if plastic bags breakdown over time, it should be possible to speed decomposition by isolating and concentrating the responsible microorganisms. After initial experiments to confirm his hypothesis, he determined that two types of bacteria–Sphingomonas and Pseudomonas–were most effective at breaking down polyethylene. He isolated and combined the two bacteria with sodium acetate, incubating the solution at 99 F, and was able to degrade polyethylene by 43% in 6 weeks. He estimated that plastic bags would be gone in three months. Unlike the mealworm studies reviewed last Friday, Tseng studied the beetles not the larvae. She reportedly became curious after seeing mealworm beetles (aka, darkling beetles) chewing on Styrofoam. After a year of experimenting with hundreds of adult beetles, she discovered a key "red bacteria" in their digestive tracts and the conditions under which that bacteria would most effectively decompose Styrofoam. 2009 was the first year Intel invited the public to vote for the project they felt was most creative, innovative and had the greatest potential to change our world. The Peoples’ Choice Award went to Ms. Tseng. 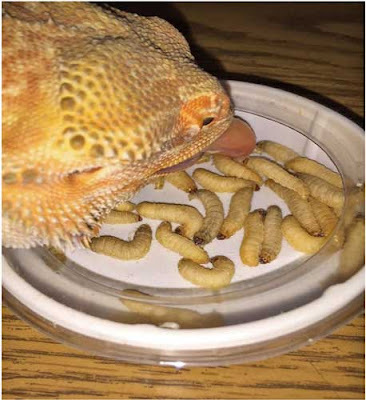 Pet gecko dining on waxworms. Should you wish to conduct your own experiments, you can raise mealworms or waxworms or find them (live or dead) at your local pet shop or online. The larvae are used extensively as food for terrarium pets and some pet birds, as well as for pet squirrels and hedgehogs, carnivorous plants, backyard chickens, bluebirds and more, in addition to being a favorite bait for certain fish (e.g., bluegill, trout). One potential drawback of waxworms is the damage they will do to beehives since they feed on the wax bees use to build their honeycomb. Nutritional analysis of selected insects from one supplier. Notice I haven’t mentioned Entomophagy.